Beauty routines change over the years — trends come and go, products rotate in and out. One constant? 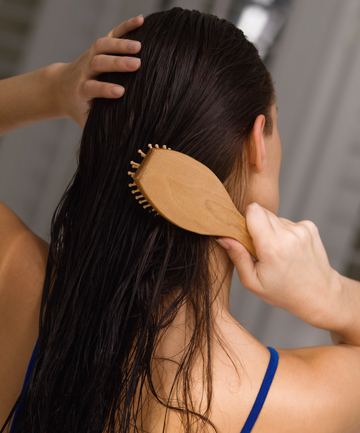 Brushing your hair, a time-honored self-care staple for pretty much everyone. Now, you probably already know that brushing your hair 100 times will not make it shinier (sadly, that myth's been busted). But it's still important to brush our hair (yes, even for curly-haired ladies). And finding the right tool is key — don't just pick up any brush. We all have different types of hair and there's a perfect brush out there for everyone. No idea where to start? No worries, we got you covered. Read on to see our recommended hair brushes for every hair type!